The ThunderShirt has become a very popular option in the treatment of anxiety in dogs since it came on the market. Considering how many pet owners regularly struggle with anxiety in their dogs and cats caused by thunder, fireworks and other loud noises, it's not surprising that it was easy for this ingenious design to find a niche. And the results have been astonishing. The principle behind the Thunder Shirt is really quite simple. It's just a matter of applying gentle pressure to the body, which seems to have a calming effect on the nervous system. It's the same idea behind swaddling newborn babies or using various gentle pressure techniques on autistic children. Experts don't fully understand the connection but there seems to be a psychological effect caused by the feeling of being contained that produces a sensation of calm and comfort. 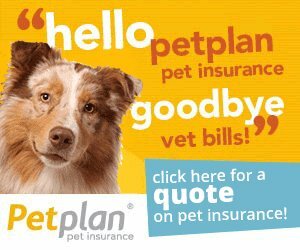 For anyone who has a very nervous or overly excitable dog, the need for this kind of calming agent is obvious. 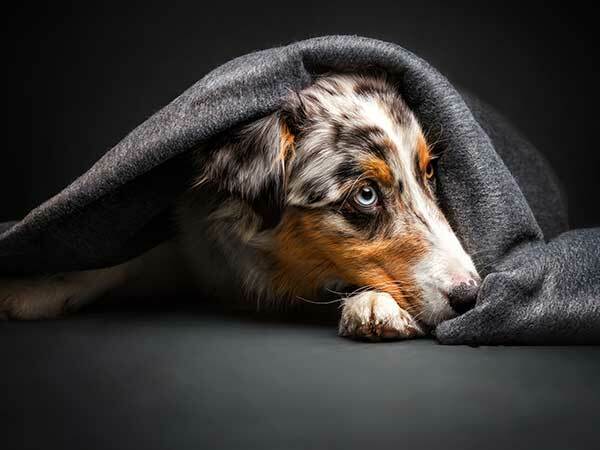 Dogs can suffer from anxiety just as humans do and there are many things that can trigger anxiety attacks, from loud noises (even the vacuum cleaner can be a problem), to being separated from their humans, to traveling or being in new places. Some breeds, like the Australian Shepherd, can easily become hyperactive, which can lead to problems of its own. The ThunderShirt can help with all of this. Many dogs can become extremely anxious due to thunder and other loud noises. It is a simple garment made of lightweight, breathable fabric that can be wrapped around your dog's torso and fastened comfortably with Velcro. This way, when the dog is wearing a Thunder Shirt, he feels contained without feeling enclosed. Breathing, sweating and all other routine bodily functions are not impeded so the dog is not uncomfortable and the gentle pressure applied can help to ease jittery reactions, calm nerves and help your dog to rest easy. How Well Does The ThunderShirt Work? ThunderShirt Classic Dog Anxiety Jacket is available on Amazon here. The patented design applies gentle, constant pressure to calm anxiety, fear, and over excitement. In fact, the results have been so good that over 80% of customers who have tried the ThunderShirt have reported success. This is particularly important, as the only other treatment available for anxiety issues up to now was medication, which can have unpleasant side effects and is not always effective in every case. This provides a much less invasive, more natural solution that you and your dog can feel better about. The Thunder Shirt is also a much more effective alternative to the desensitization training programs that many professional trainers suggest. These types of programs, which try to cure anxiety by exposing your dog to minimal doses of various stressors, require a considerable time commitment and are not proven to work. Compare that with this simple, ingenious shirt that seems to have an instant, positive effect on most dogs and you can see the difference. Besides its proven record of success, the ThunderShirt also comes with a full money back guarantee, so if for any reason it doesn't work for your dog, you can send it back for a full refund. It is available online on Amazon here, so it's easy to find and get shipped right to your home. It also comes in a variety of sizes to fit every breed—including Australian Shepherds. If your dog is struggling with anxiety and you're looking for a way to ease his distress, the Thunder Shirt may be just the answer you both need!